At WISCO – Walk In Shower Company – our experts know how important a bath is to your bathroom. A bath is often the centrepiece of a bathroom, and while a bath is a practical object, it does not mean that a bath can’t look amazing and stylish in your dream ‘washroom’. Our experts spend their time thinking about what kind of baths would be best for different people, and in extension, what bath would be best for you. We specialise in bathing solutions, meaning that you can bathe in safety as well as in style, with a choice from our range of seats and grab handles. The bathroom can be a very personal place, and here at WISCO – Walk In Shower Company – we see ourselves as match makers between people and their baths. The perfect bath should make you feel relaxed, luxurious and just a little bit lazy; we know that whatever kind of person you are, we will be able to match you to the perfect tub, because everyone deserves a bit of a pamper in a WISCO bath. Our team of design experts can advise you on the perfect bath to suit both your personal needs and to suit your perfectly designed bathroom. A bath can make or break your perfect bathroom, so it is really important that together we choose the perfect tub for you, to complete your dream bathroom and create a beautiful and relaxing bathing experience. What kind of baths are available at WISCO? At WISCO – Walk In Shower Company – we have a wide range of baths to suit every bathroom, every personality and every personal requirement. We take our customers’ choice of bath very seriously, which is why we have so many options for you to view and consider. All of our baths are built with you in mind, including single and double ended baths, free standing baths, corner baths, whirlpool baths and roll top baths. 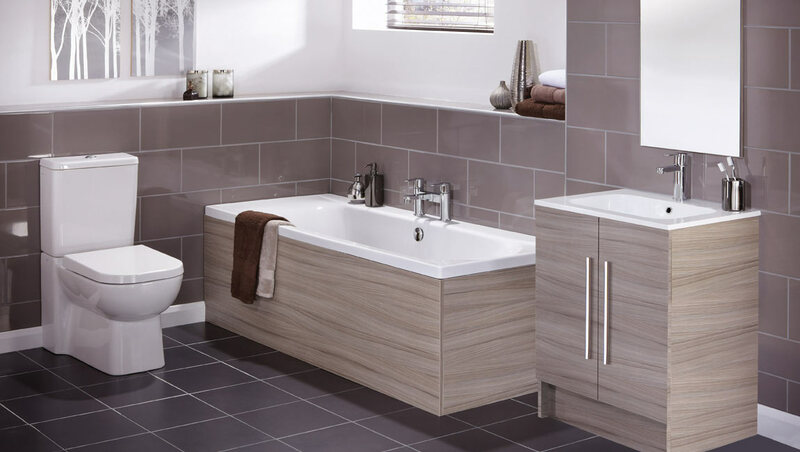 Our wide range of bath options mean whatever kind of bathroom you have, we will match the perfect bath tub to suit you, and to compliment the space in your bathroom. As well as different styles, we also have different materials for our baths; these include acrylic or steel baths, as well as Theraform baths, which keep your water warmer for longer. Most of our baths come in different materials, so whichever style of bath you would like for your dream bathroom, we can customise it to fit in perfectly with your wants and needs. Which kind of bath is best for me? What kind of bath is best for you depends entirely on what your needs and tastes are, however, at WISCO – Walk In Shower Company – it is really important to us that you choose a bath which you will love and enjoy for a long time. Therefore, our experienced and knowledgeable team will be happy to help you in your choice and to talk you through what kind of bath will be right for your personal needs. We can also show you all the different materials so you can get a feel for what kind is right for you and talk you through the ‘pros and cons’ of our different material options. Our showroom, both virtual and physical, will display to you a wide range of different styles so you can get a real feel for what kind of bath will look best in your bathroom. At WISCO – Walk In Shower Company – we specialise in bathing solutions, and we can fit solutions which will make your bathing experience more relaxed and accessible. As well as all our bathing solutions being stylish and aesthetically pleasing, we also have a wide range of solutions to make your bathing experience more relaxed. Solutions include seating for bath tubs and grab handles which will make for a much easier bathing experience, encompassing both safety and style.